IK Multimedia is proud to present the brand new Fulltone® Collection for AmpliTube for Mac/PC, which brings guitarists and all musicians an essential palette of sounds that span from the most classic tones from the past to more modern “waves”. 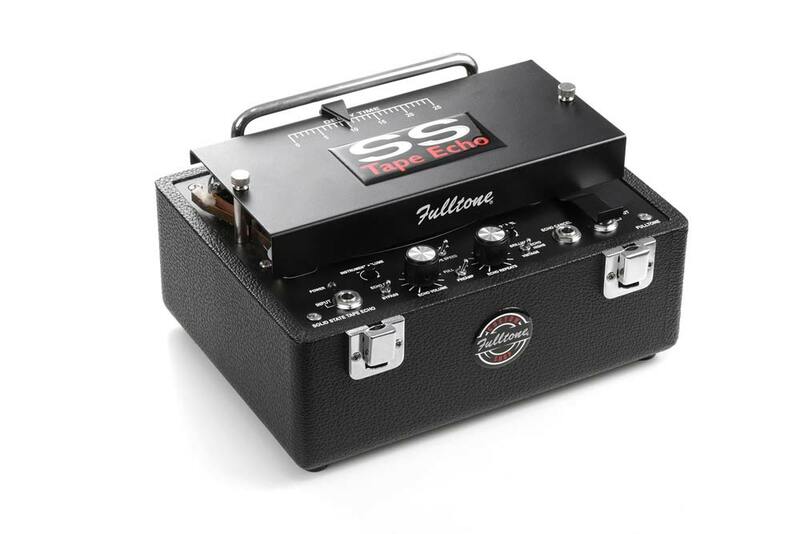 Guitarist Michael Fuller founded Fulltone back in 1991, with the aim of building stompboxes that sounded as good as vintage pedals, but that were more rugged and reliable than the old, often fragile classics. Today, Fulltone is recognized as being one of the most committed and scrupulous manufacturers worldwide and IK Multimedia teamed up with them to bring you the finest recreations of 3 select effects you can now use directly in AmpliTube for Mac/PC. Fulltone Collection includes 3 powerful processors that are equally at home for music production as well as creative sound design. Wether you are a guitarist, a keyboard player, a composer, a producer, a sound designer or a mixing engineer, you can now have 3 versatile tools at your disposal to fulfill all your creative dreams. Fulltone Collection is all about the sound, the mojo and the feel of the original hardware but with all the practicality of AmpliTube's well known workflow. There are no limits to what you can do with the Fulltone Collection. Recreated by Fulltone and based on the original, nearly impossible-to-find Dyno My Piano unit (sold during the 80's under the names of Songbird or Dytronics), the TERC gives you that lush, expensive, huge and elegant sound that made it so famous during the 80's. In fact, in the commonly-agreed-upon “guitarpedia”, only a few chorus units have stood the test of time, even fewer are immediately recognizable in the sound of the world's top players, but only one has eventually gained the status of THE chorus of the 80's: and that is the tri-stereo chorus. World-class players like Michael Landau, Steve Lukather, Dann Huff and many other top session musicians chose it for a reason. Preset MODE, when engaged, creates an evolving, wavy modulation effect that is one of the most popular features of the original unit. The manual mode lets you experiment with different degrees of intensity and modulation for the left, right and central channels, going from subtle to extreme, for a wide open sound that will put a smile on your face. Another peculiarity of the TERC is that, even when its modulation circuit is bypassed (by disengaging the Manual and Preset Mode) the state of non-modulation is reached in a gradual manner, creating a very subtle effect, reminiscent of the slowing down rotors of a Leslie. As a result, the clean sound is still being imparted a very unique flavor even though the chorus LFO is not modulating anymore. 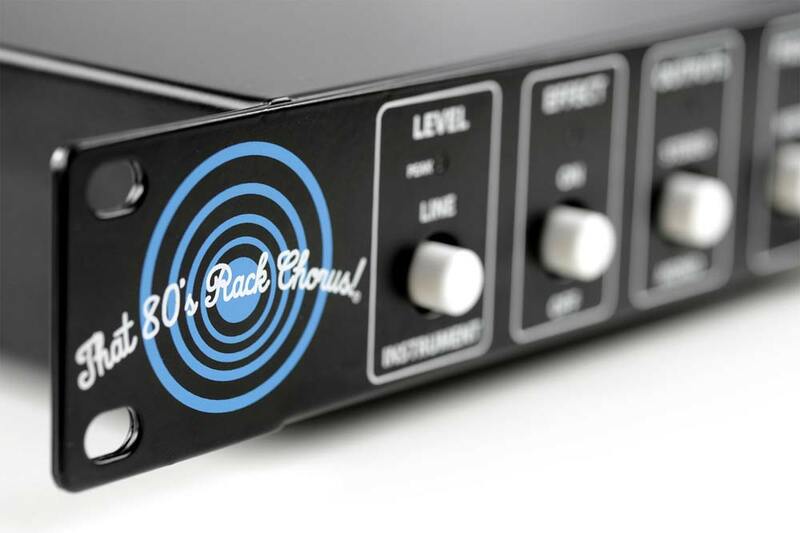 But don't make the mistake of thinking that the “80's rack chorus” is just a retro and nostalgic machine. Far from it. Push it hard, use it on synths, vocal tracks, even drums (along with the SSTE for some crazy effects) and bass guitar and you will see what we mean. This machine is still as modern as it gets! It captures the full essence, warmth and vibe of the original Echoplex EP-3 vintage unit, but without its unavoidable drawbacks (the original unit was very noisy, mounting low-quality tape heads and would produce lots of hum whereas Fulltone's model fixes these problems greatly enhancing the machine's response and capabilities). We have recreated the SSTE in virtual rack format, and added a convenient bpm sync function, for ultimate DAW integration. Feeling creative? You can play with the tape head by moving it back and forth to produce interesting wobbling effects or you can “just” daisy-chain more SSTE's, each one set to a different time value and tape speed, to achieve unique results. It really is a matter of personal preference but, more importantly, it is something you can now achieve in your computer and without all the hassle of real tape. And it doesn't end here. 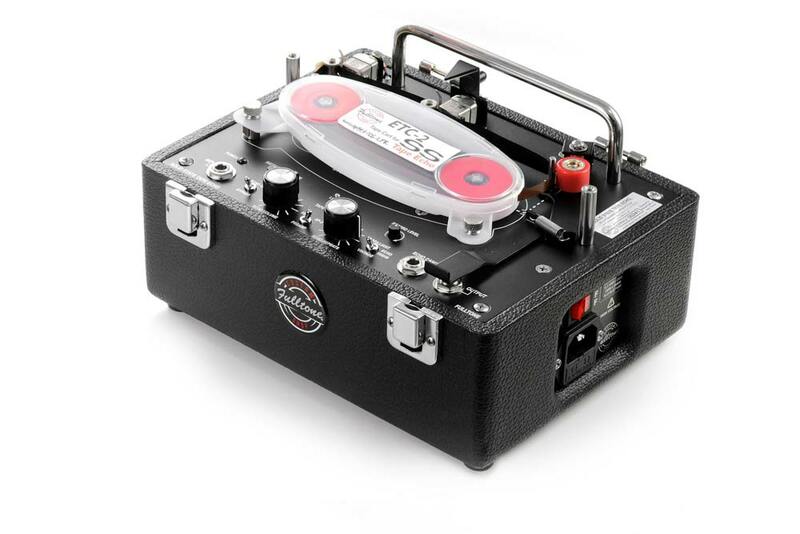 You can take advantage of tape's intrinsic idiosyncrasies to add authentic analog saturation to your sound, or exploit the harmonic character of either the Fulltone version's preamp or the original Echoplex's to add color to your tone; vary the tape response for a more brilliant or gently rolled-off sound, saturate the wet signal using the “record level” to tape control and much more! This overdrive pedal is already a classic. It adds grit, punch and a modern attitude to the collection. It provides the same kind of touch sensitivity, warmth and complex harmonics that you would get from a quality tube amp. With the OCD, the sonic possibilities are so many it will..overdrive you crazy! Shape your tone in hundreds of different ways, try it out in combination with AmpliTube's huge collection of amps and cabinets for an infinite number of tonal variations. 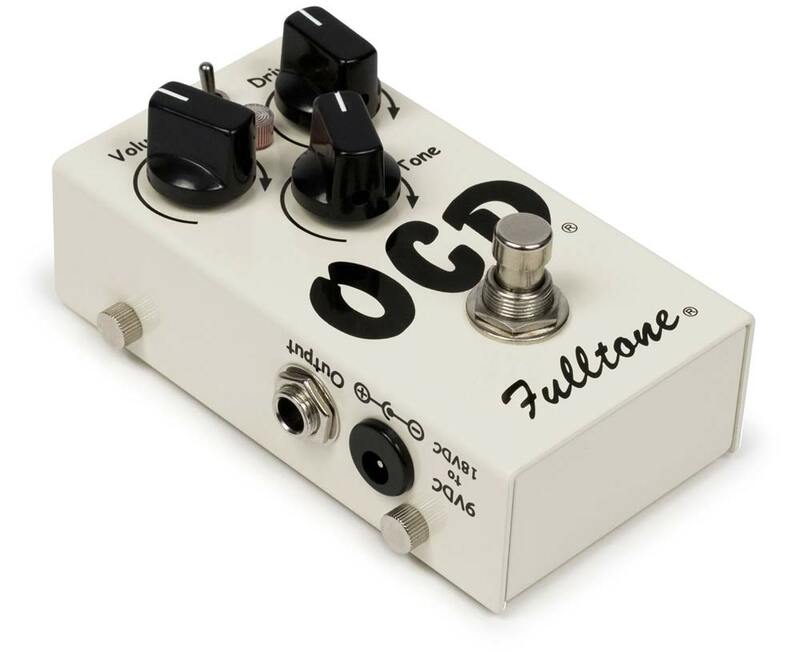 The OCD is the icing on the cake that makes the Fulltone Collection perfect for all genres of music in all kinds of styles. Fulltone Collection for AmpliTube is available in the IK online store or in the Custom Shop as a full collection of effects. 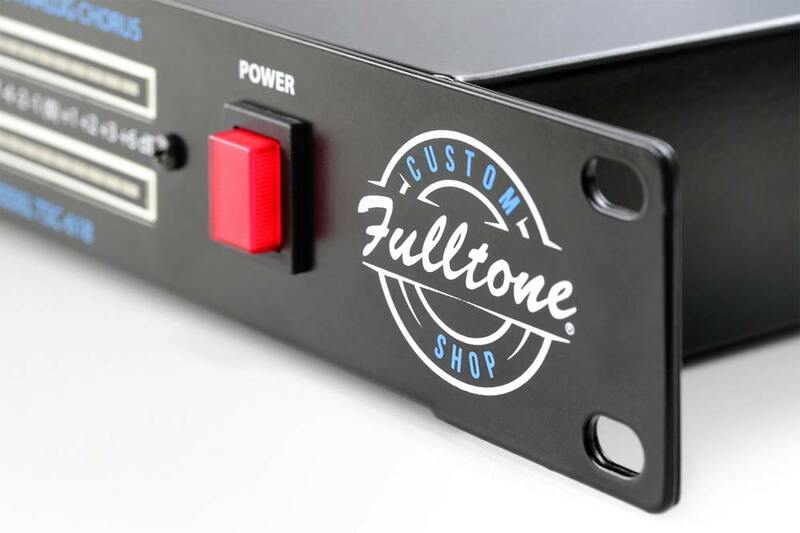 You can also purchase individual gear models from Fulltone Collection in the AmpliTube Custom Shop. AmpliTube® is a registered trademark property of IK Multimedia Production Srl. FULLTONE® is a registered trademark property of Fulltone Musical Products, Inc.. All other product names and images, trademarks and artists names are the property of their respective owners, which are in no way associated or affiliated with IK Multimedia. Product names are used solely for the purpose of identifying the specific products that were studied during IK Multimedia’s sound model development and for describing certain types of tones produced with IK Multimedia’s digital modeling technology. Use of these names does not imply any cooperation or endorsement. Mac and the Mac logo are trademarks of Apple Computer, Inc., registered in the U.S. and other countries. Windows and the Windows logo are trademarks or registered trademarks of Microsoft Corporation in the United States and/or other countries.The Audio Units logo is a trademark of Apple Computer, Inc. VST is a trademark of Steinberg Media Technologies GmbH.